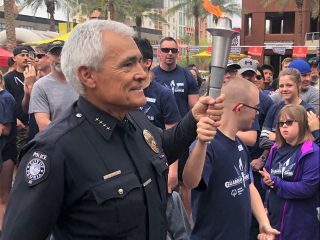 TEMPE, Ariz. — A group of U-Haul volunteers made a difference in their community recently by dedicating their Saturday morning to improving a Tempe neighborhood home. 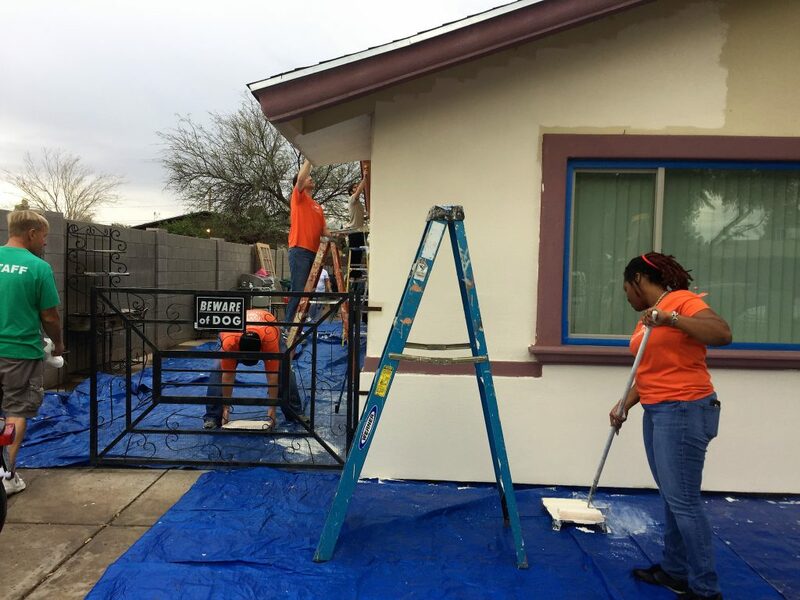 U-Haul teamed with the Central Arizona chapter of Habitat for Humanity on Feb. 18 to bring a family’s home back to life by giving the house a fresh coat of paint. Volunteers arrived early to hear about the history of Habitat for Humanity and the impact that these events can have on a family. 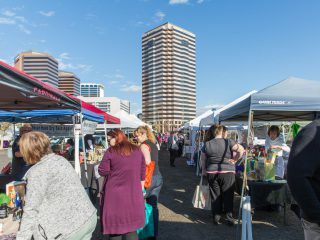 Volunteers were so determined to help that not even a rainy forecast would keep them away. Prior to applying paint, tasks involved cleaning along the outside structure and setting up the painting materials. When it came time to paint, the homeowners came out to meet the team and help coat their house. 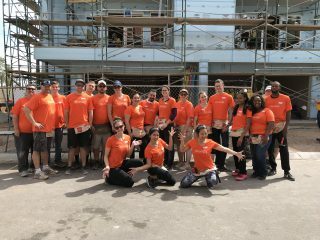 Seeing the joy on the homeowners’ faces kept the team energized and motivated – even as the storms arrived. 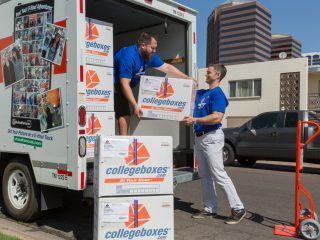 Service opportunities like this not only bring U-Haul Team Members closer together, but they reveal the impact that simple contributions can make on the lives of our neighbors. The family was very appreciative of all the hard work that was done on their behalf. U-Haul volunteer days with Phoenix-area charity partners occur at least monthly and are designed to give back to the community. 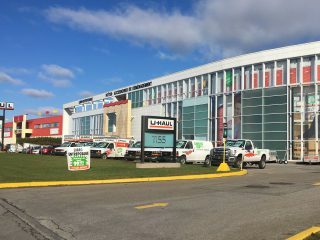 U-Haul is constantly looking for ways to better communities across the U.S. and Canada. 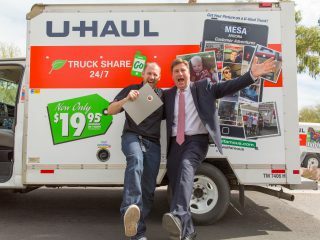 From investing in sustainability programs to volunteer opportunities, U-Haul is doing its share to make a positive impact. 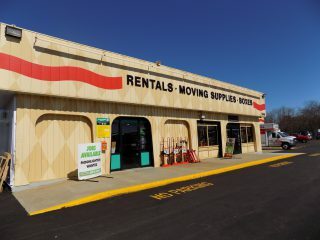 “It’s important for U-Haul to give back to the community because it is such a big company; it has a lot of people and resources to contribute to local communities in need,” Staley adds. U-Haul volunteers couldn’t help but smile when they saw the house glimmer when their work was done. In this case, a fresh appearance made a world of difference. “We all want to have something to be proud of, and Habitat for Humanity gives people the chance to take pride in their home – which is special,” Habitat for Humanity team leader Blair Fairman says. Like U-Haul, Habitat for Humanity has many committed and passionate volunteers. U-Haul Team Members were grateful to blend their talents with such a generous and caring organization. 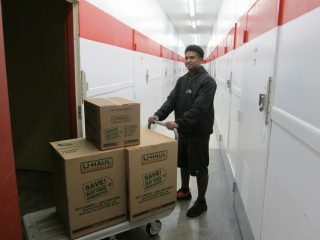 At the start of the day, U-Haul volunteers were told that serving people gives you a kick start in life. By the end of the day, that statement rang true. Habitat for Humanity is a nonprofit organization that works to improve the living conditions for those in need. It improves these conditions by building or renovating homes with the help of volunteers. Finally, it works to ensure that every family has affordable housing. 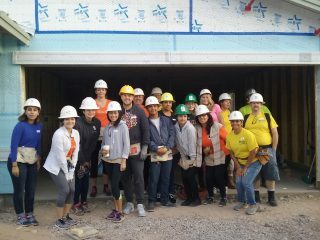 See what U-Haul is doing to improve a community a near you, or learn more about Habitat for Humanity in Central Arizona by clicking here.